Whenever there’s an unanswered question in a continuing, multi-part story there will always be people trying to figure out the solution. It doesn’t matter if it’s a novel trilogy, a TV series, or a cinematic universe, people want to know the truth right now. What’s the true lineage of this character? Is that masked villain one of the other characters we already know? Are those two people going to finally admit their feelings for each other? What’s the meaning of that prophecy? Questions rage. Forum threads multiply. YouTube videos bait your click. Storytellers are asked to spoil the mystery. And fan theories pop into existence. Fan theories are interesting, honestly. People taking small pieces of information, calling them clues (even if they’re not), and extrapolating thoughts into their leap of faith. Amazingly, some of them even get pieces right. But far more have ended up so far afield that it’s ridiculous. And then you get to the people who are so assured of the factuality of their theory that they argue with the author of the story when the answer is finally revealed. “No, I’ve worked this whole thing out. This is how it goes…” As if the author and originator of the story has no clue how this series of events ends. The misunderstanding, brought about because the audience’s preconceptions, focuses them only on their version of events. Blind to the truth. 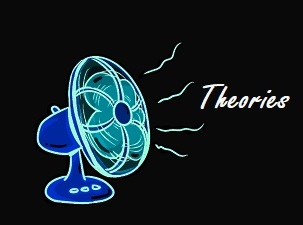 While the phrase “fan theory” is a relatively recent occurrence, the predictions of those deeply invested in a story are not new. 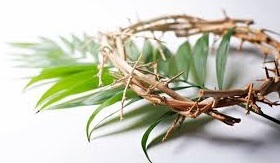 Tomorrow is the day we call Palm Sunday. The day that we celebrate Jesus’ entrance into Jerusalem on a donkey. The day that many Jewish people’s fan theories about the Messiah fell to the ground like the palm branches they laid before the Truth. The popular fan theory concerning the Messiah at the time was that he would enter Jerusalem through a specific gate and bring peace to the Israelites. This would be accomplished by brute force and war against the Roman oppressors. He’d lead an army in rebellion against the government. And he would be crowned their king. When this Jesus, who many believed to be the Messiah, entered through that very gate with some pomp and circumstance, during one of the great Jewish feasts, Messiah fanboys and fangirls threw themselves into a frenzy. They threw palm branches, symbols of victory, before their believed champion. Cries of hosanna wailed, calling for God to bring his salvation to them. Rallying cries of gathering like the judges of old. They believed this was the moment of their freedom and victory over their physical enemy. But these fan theories, which had propagated for centuries, held one major flaw. They believed the victory would come through war. So in less than a week, when this Messiah stood before the Roman officials, not in battle or victory, but in trial and seeming defeat, the “diehard” fans became harsh critics. Cries of, “Hosanna,” turned to cries of “Crucify him.” They held their Messiah fan theories so tightly that they argued with the Author and Originator of the story. As if he didn’t know how this was going to end. That part of the story has been revealed. But the question arises, “Which truth do we want to know the answer to right now and have theories about?” What unanswered questions do we have concerning our lives with God? We probably have a few theories about what we should do, but what will we do if the solution looks nothing like our theory? Will our cries of, “Hosanna,” turn to “Crucify him,” just because the victory looks like a defeat? Or will we lay down our closely held fan theories and accept the truth revealed to us by the Author?